We welcome opportunities to partner with new host clubs to bring the Junior Slam Series to more athletes. Host clubs will find that Slams go beyond the ordinary. We promote our host club to the teams, to the community, to the media and to our sponsors. Our social media, Facebook, Twitter, Instagram actively plays a part in supporting our partners. Slam teams are serious athletes who play respectfully at host venues. We do not allow rambunctious or inappropriate conduct of any kind on or off ice. Junior Slam Series representatives work with host clubs to negotiate food service options. We respect host club rules. We manage and convene our slams from beginning to end, taking down our posters and signage, and cleaning up the last speck of dust when we leave. When you sponsor junior curling you are entering a sophisticated marketplace. Curling is the fastest growing winter sport on the globe. Whether you want to dip your toes in or immerse yourself completely in our wonderful sport, the Junior Slam Series is here for you! Get behind our events, our ROCKTalks program, and a host of other innovative programs that reach our broad demographic of youth athletes, coaches, family networks and curling stakeholders. We custom build sponsorships that are right for you. 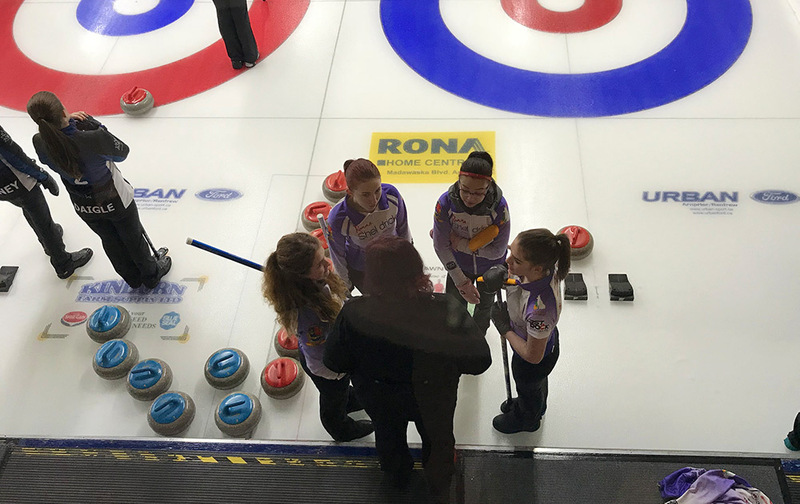 The Junior Slam Series provides great exposure for you, all in an effort to grow the sport of curling and support the clubs and communities that make our series such a success. We hope to welcome you into the junior curling sponsorship.